If you’re selling your home, you may be wondering if it’s a good idea to invest in a pre-listing home inspection. Traditionally, the buyer is the one who requests – and pays for – a home inspection. However, you can always hire your own home inspector for a pre-listing inspection. Doing so will give you a better idea of how much your home is worth, and it has a number of other benefits. A pre-listing home inspection is just like any other home inspection. After you schedule an appointment with an inspector, they’ll come to your home, and walk through your entire home, examining every major and minor element, and noting its overall condition. You can ask questions during the process, and afterward, you’ll be given a comprehensive home inspection report, noting all of their findings. Even if you do get a pre-listing home inspection, chances are that your buyer will want to hire their own inspector to conduct another comprehensive inspection. So, why bother with a pre-listing inspection? There are a few good reasons. Get an understanding of your home’s condition – If you hire your own home inspector before buyers start looking at your home, you can get an accurate understanding of its overall condition. This helps reduce stress and uncertainty when buyers are inspecting your home. Make key repairs before the house goes on the market – If you have a major issue like a leaky roof, faulty furnace, mold or some other problem is uncovered by your inspector, you can fix this problem before you try to sell your home. Price your home more accurately – Pricing your home accurately is easier after a home inspection, because you’ll have a more detailed picture of its overall condition, potential repair costs, and other such things. If you want to increase buyer confidence, decrease stress, and ensure that you get the most for your home, a pre-listing home inspection is a great choice. 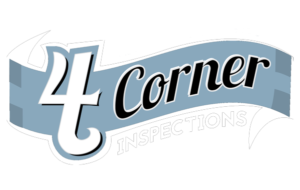 So contact 4 Corner Inspections today, and schedule a pre-listing home inspection now! 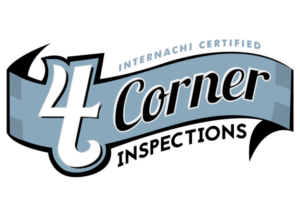 4 Corner Inspections LLC provides Residential Buyer Inspections, Residential Pre-Listing Inspections, Termite (WDI) Inspections, Radon Testing, & 11 Month Warranty Inspections for Southwest Ohio including: Clermont County- Hamilton County- Brown County- Butler County- Warren County- Parts of Clinton County -Cincinnati OH- Batavia OH- Mason OH- Liberty Twp OH.